If you are one to watch the News, especially that which comes from nations wherein the Pope recently visited or is trying to make "friendly relations" with, you may notice that each time the Pope visits a nation, not long after the visit political chaos literally breaks forth on numerous front because the man of sin brings the enemy of souls with him wherever he goes and anyone doing business with him grants Satan permission to run rampant in their nation. What amazes me is how 1.2 billion Catholics keep missing all this time after time. They watch their Popes go from nation to nation, yet rarely do they see their Popes having major meetings with Catholic church leaders. No, the Pope concentrates on having meetings with the leaders of nations as well as non-Catholic leaders and with leaders from very evil religions. Worse yet, he bows before their antiChristian leaders and actually kisses their holy books. But nary a Catholic is bothered by this? Now we all know why the Pope meets with religious leaders from all the false religions on earth. It was prophesied the beast in Rome would cause all the world to wonder after (follow) him and so it's a no-brainer he will always meet with the leaders of the many false religions. And this is also why he meets with political leaders. But what he does in the ecumenical meetings with the wolves, he does in a much different manner with the political leaders. He knows them better than most realize because the Pope is not really a religious leader at all. He is the most evil man on earth and his main area is that of politics and so it's obvious he needs to get into the churches to move the false preachers to corral the sheeple in their pews; but it's just as important to get the national leaders behind closed doors or his prophesied agenda towards enforcing the mark will fail. But the Pope has a problem with China! And that is China hates any inference of religion outside their demon inspired state religion. Which ironically enough is fashioned after Catholicism. But that's a whole new blog entry. What I'm getting at here is we all know how the Vatican invented the religion of modern day Islam with all its blood and guts and we know the Pope uses Islam as their own personal Gestapo. I mean seriously, they even salute the Pope on camera! With that said do you recall this article that came out in late 2014? The headline was "China To Pope Francis: Don’t ‘Interfere’ With Our Country’s Religion." That headline didn't sit well with the Pope and so as expected he moved in a little closer to try and schmooze the leaders in China to grant him an audience. In fact, they even spun some articles last October on the Catholic News Agency website trying to make it appear as if talks were going well. One such article was titled, "Pope Francis and China – attempts for a thaw?" 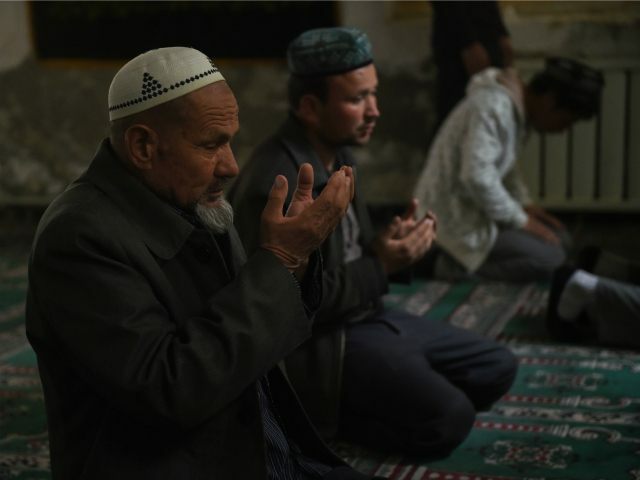 They even stated in the article that "Recently, the Chinese government issued a new draft of a regulation for religious activities in China. The new draft would impose stricter penalties against “illegal religious activities” depending “on a foreign country,” which is how the Catholic Church is classified in China." So now it appears obvious that since the leaders in China are not only refusing to bow to the Pope and his supposed reason for talks being "climate change" where even their scientists know is a farce, it appears the diplomatic folderol of the Pope has failed and China is further locking down "religious" activities within their borders and so the Pope has decided to send in the troops! And those troops are the loyal soldiers of Islam.